My kids love pomegranates as most do.if you love them too you will be happy to know they have great health benefits. 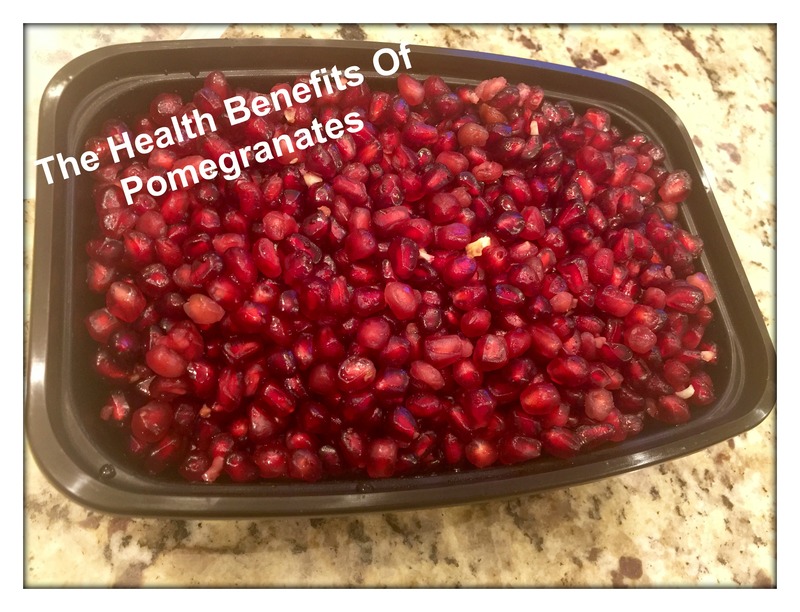 I was recently told of a study with pomegranate juice that showed that a small amount of the juice a day actually increased the health of arteries in heart patients. The study was done using POM juice but I think any pomegranate juice would help as long as its 100% pomegranate juice. I noticed that companies are adding pomegranate powder to their natural health products now more than ever. I usually have a container filled with pomegranate seeds in my fridge for my kids to eat. 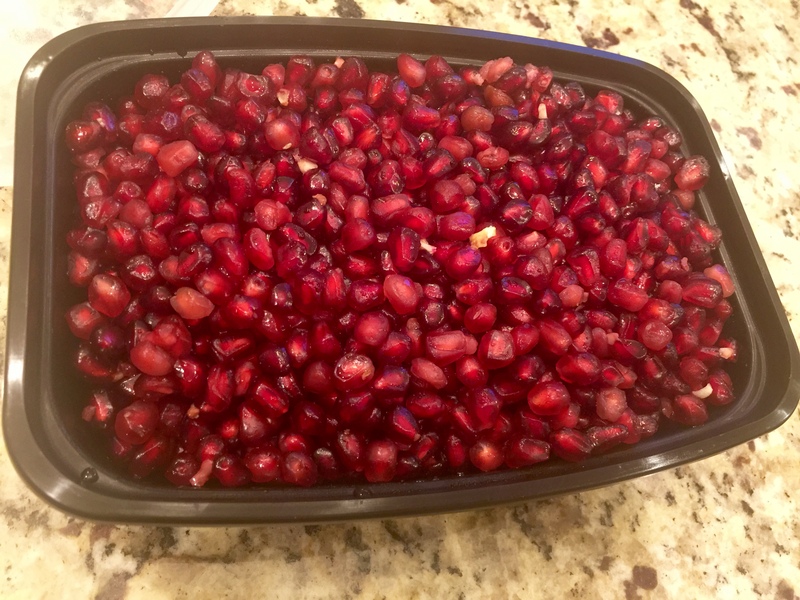 You can make it a fun thing for the kids to buy a bunch of pomegranates and open them and just fill a container with the seeds to have around as a snack. Pomegranate juice helps regulate blood flow by boosting the circulatory system. This helps reduce the risk of heart diseases and strokes. As mentioned earlier, pomegranates are packed with antioxidants.. Antioxidants prevent clots in the blood vessels and also reduce the risk of high blood pressure. In addition, pomegranate also has blood thinning properties which further reduce the risk of hypertension. Pomegranate contains a high number of flavonoids. Flavonoids are antioxidants which are equipped with cancer fighting properties that counteract various cancer radicals. Whether it is prostate cancer, skin cancer, breast cancer or lung cancer, a glass of pomegranate juice is highly recommended for people who suffer from high risk of developing cancer. In addition, regular consumption of pomegranate juice also reduces PSA levels that aids in combating existing cancer cells present in the body and also inhibits the growth of tumor cells. Pomegranate seeds are rich with anti-inflammatory compounds that keep you healthy and prevent immune related diseases. They are also rich in vitamin C that boosts your immune system and promotes the production of antibodies. A daily glass of pomegranate juice can thus help you maintain a healthy immune system. In addition to reducing oxidative stress, pomegranate juice also helps reduce stress levels. According to a study conducted by the Queen Margaret University, people who drank pomegranate juice on a regular basis were least likely to develop cortisol. Cortisol is a stress hormone which is found in increased amounts under stressful conditions. Pomegranate juice has been known to reduce levels of postmenopausal depression. The peel, bark and leaves of this fruit are also beneficial for your health as they have been known for reducing the risks of stomach disorders. Add some pomegranate juice in your tea to enhance flavor and cure digestive problems. Pomegranate juice is also known for reducing the risk of diarrhea and handling problems, such as dysentery and cholera. Believe it or not, pomegranate juice can be used as mouthwash to improve your oral health. Pomegranate juice contains certain chemicals that helps break down plaque and exhibits anti plaque properties. Drinking pomegranate juice may reduce the risk of plaque formation by about 84%. Pomegranate juice has a variety of properties that reduces the risk of osteoarthritis and atherosclerosis diseases as it prevents the damaging and thickening of arterial walls in the cartilage and joints. Pomegranate also contains properties that help break down connective tissues within the body. Considering its small size, pomegranate seeds are surprisingly packed with high amounts of fiber. High fiber foods help keep your stomach full for longer periods of time, which keeps you from overeating. Pomegranate seeds make the perfect low calorie snack. They offer a variety of health benefits and are delicious as well. Drinking a glass of pomegranate juice on a daily basis may help reduce the risk of diabetes and also prevent coronary heart diseases. Because of its blood thinning properties, pomegranate juice prevents hardening of the arteries and inhibits various heart diseases. If you are worried about wrinkly skin, drinking a glass of pomegranate juice may help you look younger. Certain compounds found in pomegranate juice, such as Polyphenolic compounds, can prevent the process of aging, making your skin look younger and more radiant than ever. So, if you are worried about looking older than you actually are, incorporating more pomegranates into your diet is a great idea. 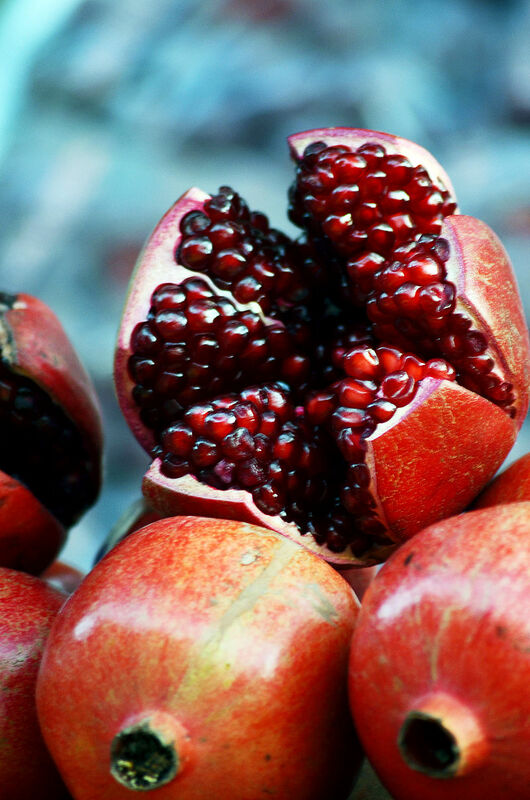 These are some of the health benefits of pomegranates. As you can see, this fruit can benefit your overall health and improve a majority of the bodily functions, making it one of the healthiest fruits on the planet. So, there is no reason why should not try and incorporate it in your diet.